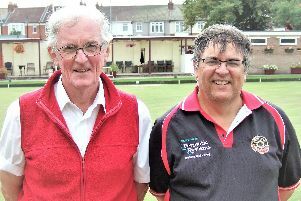 The curtain has come down on the Portsmouth & District Bowls Association season. And along the way, tournaments took place to raise money for good causes. Pembroke Gardens have hosted two open competitions for the past 23 years, with cash raised going towards a defibrillator for the club this time around. 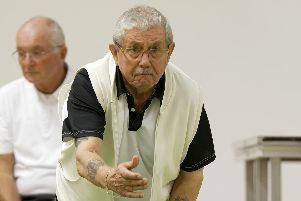 The Open Fours event took place in June and it attracted 20 teams. With matches played over seven ends, Purbrook Heath, Milton Ladies, Southsea Waverley and Milton Park reached the semi-finals. The first clash saw Tony Wall’s Purbrook take on Jemima Meaden’s Milton Ladies, with the former claiming the spoils. And they met Waverley, led by Dave Watts, in the final after victory over Alec Gall’s Milton Park. The affair lasted more than one-and-a-half hours and it was the Purbrook quartet of Wall, Phil Jelf, Jim Duncan and Mike Frank who clinched the win and £120 prize money. Pembroke then held the Open Triples the following month. Twenty-four sides were involved, split into men’s and ladies’ teams, while games were contested over five ends. The men’s group winners were Alan Lewis’ College Park and Gas Social, led by Terry Williams. Rose Rogers’ Milton Park and Lee-on-the-Solent, under Caroline Cuerden, were the ladies’ group winners. Lewis’s side went on to defeat Williams’ troops in the last four, while Cuerden’s aces got the better of Rogers outfit. The final was played over eight ends and spectators were treated to some top quality bowling from both teams. It was Cuerden and her team-mates Joan Dawkins and Elaine Bennett who came out on top, defeating defeat Lewis, Colin Dixon and Malcolm Rimmer. The trio were presented the silverware by club president Carol Reynolds, as well as splitting the £90 pot. Meanwhile, the Priory Open raised more than £800 for The Society of St James, which helps tackle homelessness in Hampshire. Twenty-four teams of four bowlers were split into two groups, with the table toppers meeting in the final. Andy Chadwick, Nigel Brown, Steve Smith and John Peacham strolled into the final by winning their pool. The other group proved tighter but Adrian Snook, Pat Reid, Clive Carter and Steve Feilder gained the most points. The final was a tight contest and Snook’s rink went into the final end leading by two shots. However, the Peacham rink fought back to move four up, with Steve Feilder left to play the final bowl of the match. But his wood trailed the jack to reduce the shot count to a loss of one shot, meaning his side delivered a 7-6 triumph and the £160 winning pot.